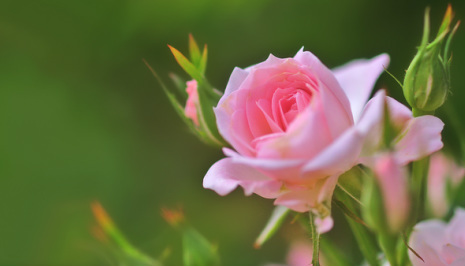 Not only does the absence of acid in the gastric tract and bladder establish an environment that is favorable to tumor growth, the control of pH is automatically controlled in a neutral range of 7.2—7.4. It has been reported by the US National Cancer Institute, that asparagus is the highest tested food containing glutathione, which is considered one of the body's most potent anticarcinogens and antioxidants. ~ Clean area -Mix 1 part baking soda & 1 part warmed (organic unrefined) coconut oil until a paste. Gently slather the affected area and let it remain for as long as possible. - Clean the affected area before each application. even when the skin has fully patched up. Do research, it doesn't hurt to take the soda to get PH balanced. Baking soda is not the entire answer. There has to be a whole lifestyle change. get more exercise and more exposure to the sun (without glasses). It's not only anti fungal it is highly alkaline - cancer lives in acidic. which are peptides and derivatives of amino acids that act as molecular and genetic switches. 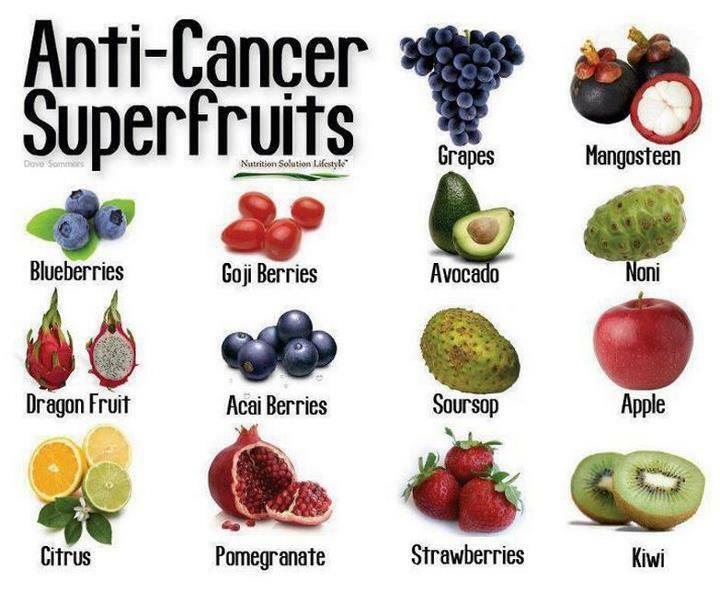 They turn off oncogenes that cause cancer, and activate tumor suppressor. 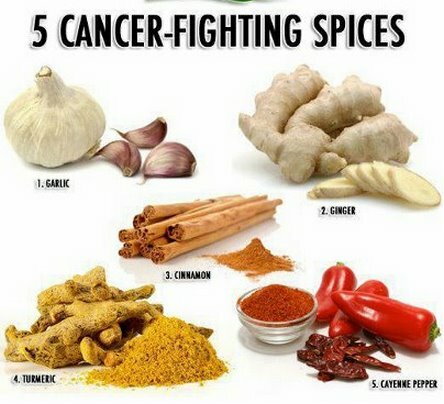 There are many ways we can try to prevent cancer. Researchers within this field have estimated that about 30 percent of cancer deaths could be prevented annually simply by optimizing the vitamin D levels in the general population. On a personal level, you can decrease your risk of cancer by MORE THAN HALF simply by optimizing your vitamin D levels with sun exposure. And if you are being treated for cancer it is likely that higher blood levels—probably around 70-100 ng/ml—would be beneficial. If the notion that sun exposure actually prevents cancer is still new to you, I highly recommend you watch my one-hour vitamin D lecture to clear up any confusion. It's important to understand that the risk of skin cancer from the sun comes only from excessive exposure. Meanwhile, countless people around the world have an increased risk of cancer because their vitamin D levels are too low due to utter lack of sun exposure. Vitamin D sulfate is a water soluble form of sulfur that can travel freely in your blood stream, making it readily available, while oral vitamin D3 is unsulfated, and therefore needs LDL (the so-called "bad" cholesterol) as a vehicle of transport. Dr. Seneff's suspicion is that the simple oral non-sulfated form of vitamin D may not provide as much of the same heart-healthy benefits as the vitamin D created in your skin from sun exposure, because it cannot be converted to vitamin D sulfate, and therefore will not improve your sulfur status. Furthermore, sulfur deficiency also promotes obesity and related health problems like diabetes, so all in all, the importance of getting regular sun exposure simply cannot be overstated. Your Insulin Levels have a Direct Bearing on Your Cancer Risk The second cancer prevention strategy that everyone needs to be aware of is the importance of normalizing your insulin levels. Aside from optimizing your vitamin D levels, normalizing your insulin levels is one of the most powerful physical actions you can take to lower your risk of cancer. Unfortunately, very few oncologists appreciate or apply this knowledge today. 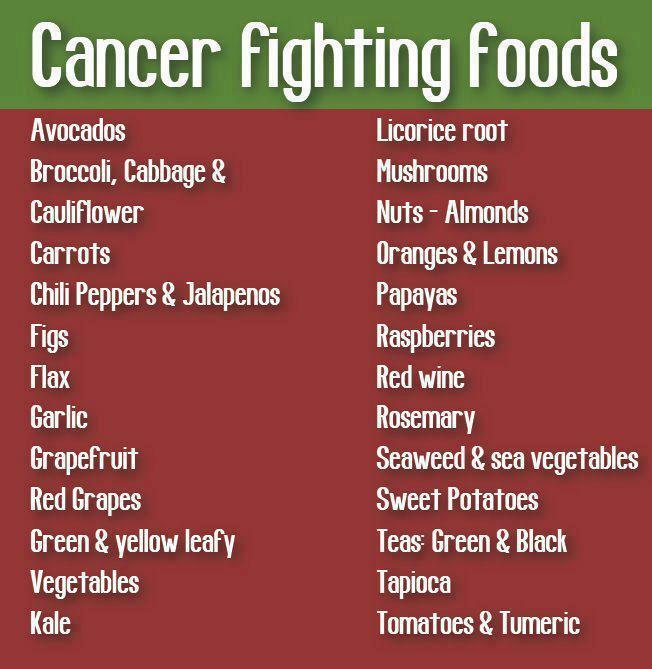 The Cancer Centers of America is one of the few exceptions, where strict dietary measures are included in their cancer treatment program. 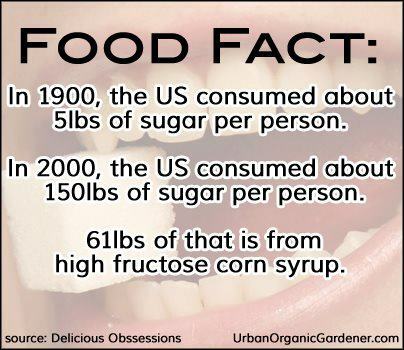 First and foremost, limit your intake of processed foods, grains and sugars/fructose as much as possible. Exercise is Slowly Becoming More Recognized for its Cancer Prevention Potential While exercise might not be at the top of most people's lists of cancer prevention or treatment strategies, there is actually compelling evidence suggesting that exercise can indeed slash your cancer risk and improve recovery. For example, physically active adults experience about half the incidence of colon cancer as their sedentary counterparts, and women who exercise regularly can reduce their breast cancer risk by 20 to 30 percent compared to those who are inactive. Furthermore, Harvard Medical School researchers found that breast cancer patients who exercise moderately -- 3-5 hours a week -- reduce their odds of dying by about half as compared to sedentary women. In fact, any amount of weekly exercise increased a patient's odds of surviving breast cancer. One of the primary ways exercise lowers your cancer risk is by reducing elevated insulin levels, which creates a low sugar environment that discourages the growth and spread of cancer cells. Additionally, exercise improves the circulation of immune cells in your blood, which is your first line of defense against all disease, including cancer. The trick though is understanding how to use exercise as a precise tool. It can be helpful to view exercise like a drug that needs to be carefully prescribed to achieve its maximum benefit. Other Cancer-Prevention Strategies Please understand that you can do a lot, right now, to significantly decrease your cancer risk. Even the conservative American Cancer Society states that one-third of cancer deaths are linked to poor diet, physical inactivity, and carrying excess weight. .Cruciferous vegetables in particular have been identified as having potent anti-cancer properties. Broccoli and cauliflower Kale, cabbage and collard greens horseradish Bok choy, Chinese cabbage, watercress and arugula radishes, turnips and parsnips kohlrabi-- The family takes its alternate name (Cruciferae) for "cross-bearing") from the shape of their flowers, whose four petals resemble a cross. When eating meat, make sure it's grass-fed. Avoid CAFO beef and ALL processed meats, which have been clearly linked to increased cancer risk. Get appropriate amounts of animal-based omega-3 fats eg wild krill oil. Maintain an ideal body weight. For my top 10 guidelines for normalizing your weight, please see this previous article. Reduce your exposure to environmental toxins like pesticides, household chemical cleaners, conventional personal care products,synthetic air fresheners and air pollution. Grape Seeds are strong Anti-Carcinogenic and Anti-Tumor-promoting agent. and lung cancerous cells affected by dietary and/or metabolic acids in vitro. are thought to reduce the risk of developing cancers cells. Grape seed extract may also help prevent damage to human liver cells caused by chemotherapy medications. Green fruits & vegetables have phytochemicals sulforaphane and indoles, which prevent cancer. 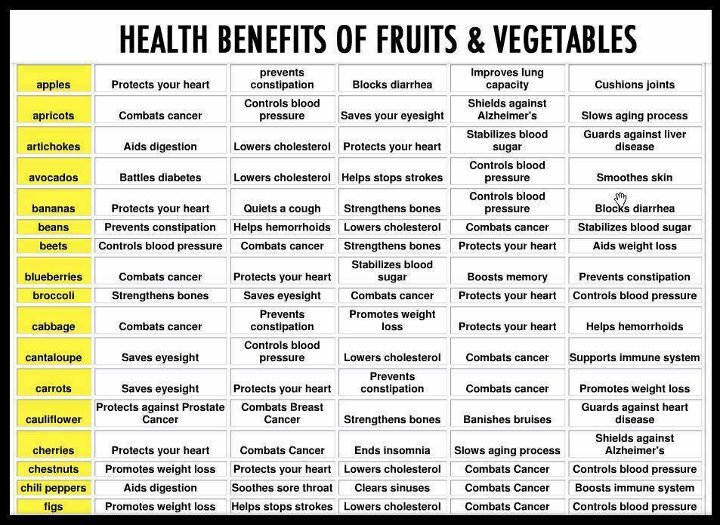 They are also good for circulatory system and have vitamin B and minerals. 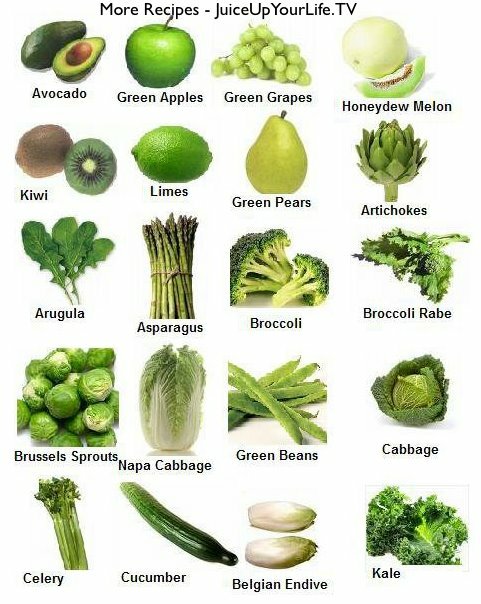 Green vegetables also help vision, and maintaining strong bones, teeth. that help prevent cataracts, eye disease, and osteoporosis. as well as other debilitating diseases. along with a hormone known as insulin-like growth factor, encourage tumor growth." containing vitamin C, lysine, proline and other nutrients that is effective in increasing connective tissue strength and stopping the spread of various types of cancer cells. and today I will show you that this nutrient combination can stop the invasion of a variety of cancer cell types. George asked the Lord to lead him. I needed to participate in my healing. " 3. drbganimalpharm/Hyperinsulinemia and Insulin Resistance: New Metabolic Markers for Cancer ? The Sour Sop fruit/graviola tree -miraculous cancer cell killer 10,000 times stronger than Chemo..
shown to be effective against serious and life threatening illnesses, including cancer. Paw Paw is the only temperate example of the custard apple family. Paw Paw may out perform soursop as an anti cancer possibility. Vitamin A benefits and beta carotene are closely related nutrients. while beta carotene is a precursor of vitamin A. But does vitamin A have the power to be a natural chemotherapy treatment? now conveniently compiled in a special report. have been shown to cause cancer cells in the colon and liver to die? And what if you could do it all from the comfort of your own kitchen by brewing some tea? Blueberry Benefits: What Blueberry Antioxidants Mean To You! K135 on Soursop: The Cancer Killer We Never Knew About? tony on Soursop: The Cancer Killer We Never Knew About? 1 sweet bell pepper, 2 apples. and deteriorates and dies in an alkaline environment. 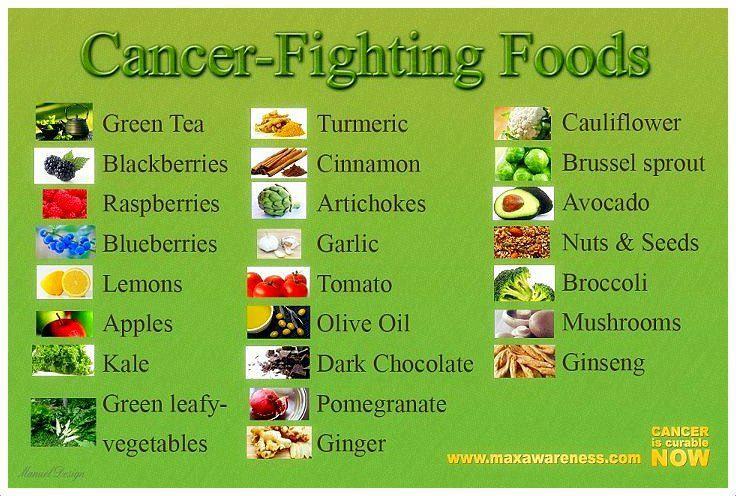 Making the body more alkaline is important in fighting cancer. 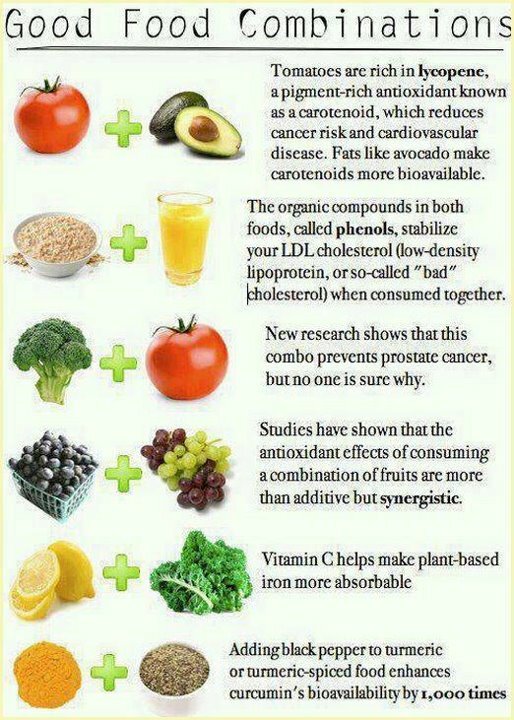 So, focus on alkalising for health! he discussed cellular acidity and foods as a cause of cancer. whole foods, vegetables, nuts, seeds and fruits. sprouted seeds, garlic, ginger, herbs, figs, raisins, lemons, limes, carrots and apples. Taking a teaspoon of raw organic, unrefined Apple cider vinegar three times a day will be of benefit. (just slice ginger, squeeze in a lemon or lime and add a little raw honey). Also drink a small teaspoon of Sodium Bicarb in a glass of warm water first thing in the morning. eat 70% alkaline ie mostly veg. 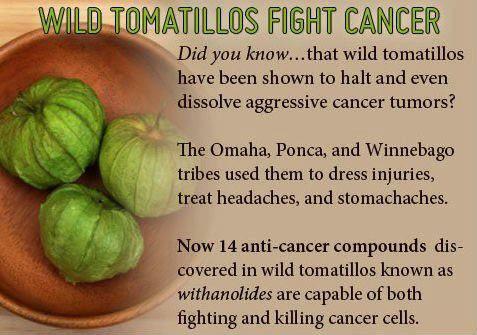 an alternative, non-toxic treatment for cancer and other chronic degenerative diseases. It is possible to do the Gerson Therapy entirely from home. It’s certainly more of a challenge, and requires more motivation and effort to get started, but it has been done successfully. 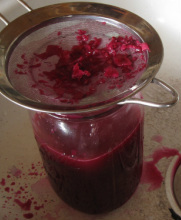 The cooking, juicing, enemas and supplements can all be prepared, consumed and self-administered at home. salty, sugary, additive filled dead products. then fill the pantry and fridge with whole foods-as God made them. Drink lemon juice each morning for balancing digestive juices. If the digestion is healthy, it will be the key to eliminating inflammation in the body. Now that you've learned this lemon secret, you can use lemon even on your breakfast. Lemon peel contains more vitamins than the lemon juice itself. helps with digestion, depression, stress and nervous disorders. Lemon helps destroys malignant cancer cells and builds up healthy cells. and Eat at least 70% alkaline - veg and most fruits. Cancer flourishes in an overly acidic body. Maintaining a diet that promotes an alkaline pH within the body is good protection against cancer. 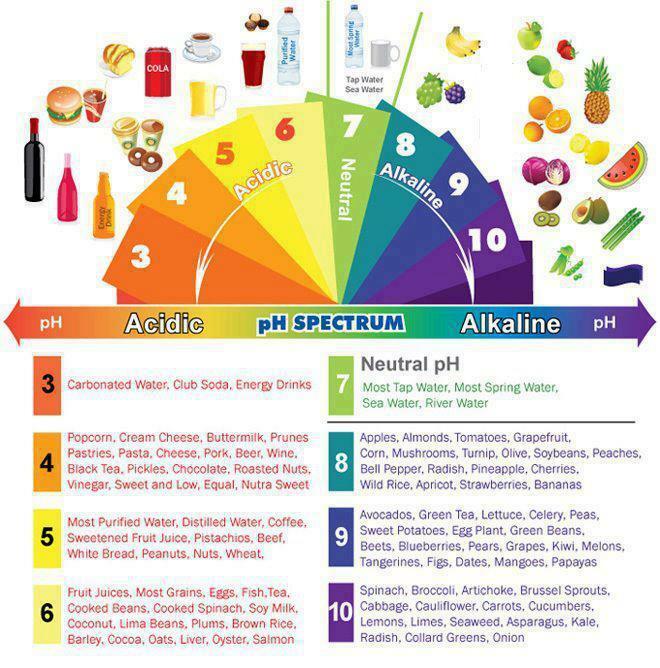 more towards the alkaline side of the scale, instead of the acid level of the scale. but can even help to cure it once it has developed. because they think that it refers to the actual pH level of the food itself. actually have an alkaline effect on the body. because these foods have a very acidic reaction on the body’s pH level. because they leave an alkaline ash within the body. How Does an Alkaline Diet Affect Cancer Cells? One of the advantages of a raw food diet, high in leafy greens, fresh fruits and vegetables, is that it naturally maintains the body’s proper pH. Different areas of the body have different levels of pH. Our blood has a 7.4 pH level which is slightly alkaline. Eating red meat, processed foods, wheat, saturated fats and dairy causes the blood to be more acid. Having an overly acidic body, a condition known as metabolic acidosis, may cause a range of health problems. The important thing to remember is that disease cannot manifest in an alkaline environment. Ideally, 80 percent of what we eat should be alkaline and just 20 percent acidic. with acidic foods making up the majority of what they consume. while an alkaline environment supports health. Nobel Prize winner Dr. Otto Warburg discovered that cancer cells only thrive in a low-oxygen state. they lose their ability to exchange oxygen, and cancer cells are able to thrive. cancer cells find it difficult to survive because of the high amount of oxygen present. and this oxygen rich environment prevents further cancer cell growth. (viruses, bacteria, fungus) cannot survive. and creating an inhospitable environment for cancer cells and virus-bacteria-fungus to multiply. Most people are born into this world with a pH near or at (neutral pH). If you can keep your body tissue pH somewhere between 6.5 - 7.0 it is very difficult to get sick. A near neutral pH (bright blue range) is the goal. Nutrition is the third step in re-alkalising the body. Stop consuming things that make acidity levels greater in the body. Cola soda pop is a 2.0! Coffee is a 4! Most beer is somewhere between 2.5-4.2 depending on the brand. are usually acidic and are magnets for most illnesses including cancer. and to also drink water that is highly alkaline. AND 20% ONLY NEUTRAL FOODS. 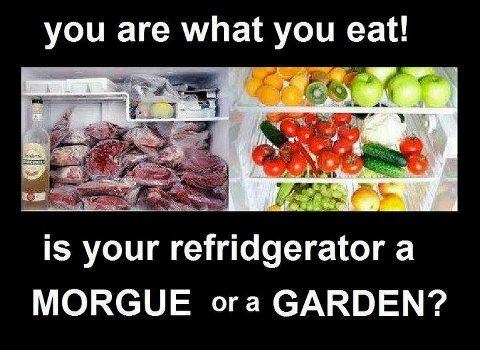 and raw fruit and vegetables especially are very alkaline forming. Vegetables: Alfalfa, Barley Grass, Beetroot, Beet Greens, Broccoli, Cabbage Carrot, Cauliflower, Celery, Chard Greens, Chlorella, Collard Greens, Cucumber, Dandelions, Dulce, Edible Flowers, Eggplant, Fermented Veggies, Garlic, Green Beans, Green Peas, Kale, Kohlrabi, Lettuce, Mushrooms, Mustard Greens, Nightshade Veggies, Onions, Parsnips, Peas, Peppers, Pumpkin, Radish, Rutabaga, Sea Veggies, Spinach, Spirulina, Sprouts, Sweet Potatoes, Tomatoes, Watercress, Wheatgrass, Wild Greens. Fruits: Apple, Apricot, Avocado, Banana, Berries?, Blackberries, Cantaloupe, Cherries, Coconut, Currants, Dates, Figs, Grapes, Grapefruit, Honeydew Melon, Lemon, Lime, Muskmelons, Nectarine, Orange, Peach, Pear, Pineapple, Raisin, Raspberries, Rhubarb, Strawberries, Tangerine, Tomato, Tropical Fruits, Watermelon. Cesium: pH14, Potassium: pH14, Sodium: pH14, Calcium: pH12, Magnesium: pH9. Butter, Cheese, Honey, Eggs, Potatoes, Oils, Beans, Soy Milk, Corn, Lentils, Olives, Winter Squash, Blueberries, Cranberries, Plums, Prunes, Amaranth, Barley, Wheat Bran, Oat Bran, Cornstarch, Hemp Seed Flour, Kamut, Rolled Oats, Oatmeal, Quinoa, All Rice, Rice Cakes, Rye, Spelt, Wheat, Wheatgerm, Noodles, Macaroni, Spaghetti, Wheat Flour, Black Beans, Chick Peas, Kidney Beans, Lentils, Pinto Beans, Red Beans, Soy Beans, Soy Milk, White Beans, Rice Milk, Almond Milk. Dairy/Fats/Meats/Fish: Ice Cream, Ice Milk, Cashews, Peanuts, Peanut Butter, Peacans, Tahini, Walnuts, Bacon, Beef, Carp, Clams, Cod, Corned Beef, Fish, Haddock, Lamb, Lobster, Mussels, Organ Meats, Oysters, Pike, Pork, Rabbit, Salmon, Sardines, Sausage, Scallops, Shrimp, Shellfish, Tuna, Turkey, Veal, Venison. Coco-Cola: pH2, Beer: pH2.5, Coffee: pH4. The reason acidosis is more common in our society is mostly due to the typical Western diet, which is far too high in acid producing animal products like meat, eggs and dairy, and far too low in alkaline producing foods like fresh vegetables. Additionally, we eat acid producing processed foods like white flour and sugar and drink acid producing beverages like coffee and soft drinks. We use too many drugs, which are acid forming; and we use artificial chemical sweetners like NutraSweet, Spoonful, Sweet 'N Low, Equal, or Aspartame, which are poison and extremely acid forming. One of the best things we can do to correct an overly acid body is to clean up the diet and lifestyle. An acid body is a magnet for sickness, disease, cancer and aging. Eating more alkaline foods helps shift your body's pH and oxygenates your system. Alkaline foods keep your body healthy and functioning correctly, preventing cancer. Over balance of acid foods causes sickness, disease, cancer and aging. Healthy tissues are more alkaline. and numbers above 7 alkaline. at pH 8.5 cancer cells will die while healthy cells will live . 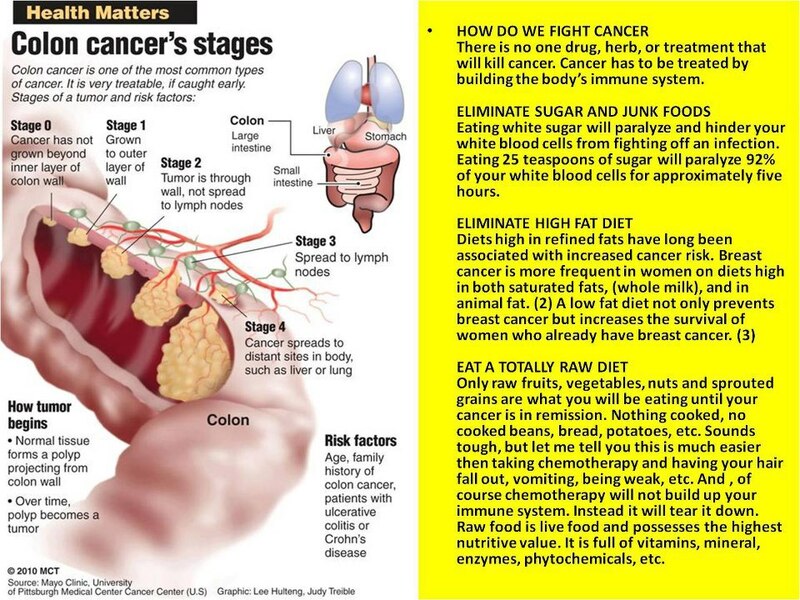 Fresh fruits and veggies have been repeatedly shown to help fight cancer. No matter what nutritional camp you belong to, we can all do ourselves a favor by eating more raw, organic, whole fruits and veggies. Increase essential fatty acids, Omega 3 and Omega 6.
are later converted into hormone-like compounds known as eicosanoids, which aid in many bodily functions including vital organ function and intracellular activity. and improving circulation and oxygen uptake with proper red blood cell flexibility and function. salmon, mackerel, sardines, anchovies, albacore tuna, and others. Only organic-cold-pressed and unrefined - soybean oil, wheat germ oil. and considered more beneficial than a once-daily oil intake. and purchased from a supplier who refrigerates the liquid as well. ie don't buy oils picked up from a supermarket shelf. • Linoleic Acid is the primary Omega-6 fatty acid. which will later by synthesized, with EPA from the Omega-3 group, into eicosanoids. skin disorders (e.g. psoriasis and eczema), and aid in cancer treatment. plus smoking, pollution, stress, aging, viral infections, and illnesses such as diabetes. borage oil, black currant seed oil, evening primrose oil. These 4 are the best to cook with-organic coconut oil, butter/ghee, lard, tallow. evening primrose oil, black currant seed oil, chestnut oil. sunflower seeds (raw), olives, chicken, among many others. • Avoid all refined and hydrogenated versions of these foods ie margarine and all oils not coldpressed. and avoid all oils in processed/packaged items- because they are hydrogenated/heated/damaged..
but the fact that even those who reportedly never used them still had parabens in their breast tissue clearly demonstrates that these chemicals, regardless of what products they're added to, can, and apparently will, accumulate in breast tissue. (To learn more about the potential toxicity of your cosmetics, I urge you to review the EWG's extensive Skin Deep Report.iii ) Parabens inhibit the growth of bacteria, yeast, and molds, and are used as preservatives. Lotions and sunscreens, Make-up / cosmetics, Pharmaceutical drugs. Make your own deodorant using bicarb soda and cocnut oil. After more than two decades of studying this nightmarish blight against humanity called cancer, Carmi Hazen has drawn two logical conclusions about its true nature and mankind's apparent inability to see the simple truth that: CANCER IS NOT A DISEASE! Having gathered and gleaned hundreds of medical texts published prior to WW-II, I came to the realization that over 150 years ago and up to just prior to the outbreak of that war, doctors had been routinely curing most diseases including cancer, which they considered to be relatively easy to conquer. They practiced what was then known as Empirical Medicine which was based upon ancient laws derived from the observation of the powerful healing reactions of Nature and Her bountiful cornucopia of minerals and plant vegetation which were concocted into formulations handed down and perfected from scores of ancestral lineages, each acquiring new tidbits to add to an ever-increasing, infinitely massive knowledge base of medicinal cures that actually worked. Much of this knowledge has been lost due to the tragic burning of the Library of Alexandria, Egypt, by rioters, believed to have occurred around 391 AD. Those who specialized in the treatment of cancer around the turn of the last century, fully understood its etiology as being a simple reaction by the body to a deranged cellular metabolism caused by the bio-accumulation of retained, and thus putrefied intestinal wastes. They referred to this condition as auto-intoxication, whereby the body reabsorbed the toxins from the excretory waste matter. The body fluids would become contaminated by these noxious chemicals resulting in an altered internal terrain. The condition of cancer resulted from a chronic, semi-obvious constipation, or from damage sustained in the tissues by injury or irritation (mechanical/chemical), combined with hypothyroidism due to inadequate cellular nutrition brought on by the excessive consumption of toxic foods such as meat, refined sugars, hydrogenated cooking oils, bleached white flour, Aluminum and Sodium Fluoride deliberately placed into the public water supply (also it is in some personal hygiene products along with numerous drugs.) In other-words, cancer is a simple metabolic disorder which can be both prevented and corrected by a proper diet, improved personal hygiene and the avoidance of exogenous (from outside the body) chemical toxins; Fluoride being the most notable. Fluoride doesn't prevent cavities, it causes them, as well as several forms of cancer along with a measurable diminished level of intellectual prowess. Fluoride also depletes iodine which is required by the Thyroid gland to make Thyroxine, a hormone that regulates body temperature, thus inducing hypothyroidism, a condition that results in incomplete digestion and a subsequent rotting of waste matter in the digestive tract, further contributing to the rampant exacerbation of disease by promoting the proliferation of unhealthy intestinal parasites. Chlorine, used as a water disinfectant, produces the same response in the Thyroid gland as does fluoride and, of course, both are liberally used in much of the world's water supplies. These substances are known as halogens and they wreak havoc upon the entire body. One form of a dangerous halogen can be found in many sports drinks and a wide variety of processed foods, and is even used as a fire retardant. It is known as bromine. The most popular soft-drink found in school vending machines is brominated Mountain Dew. Which, like most citrus flavored varieties of sodas, contains a significant amount of this electron odd order salt which damages the brain much like fluoride does. The diet forms of soft drinks also contain aspartame which is proven to cause cancer and can lead to blindness and even death. In Germany, and in many other parts of the world, the public water supplies are sanitized with ozone gas, a super-atomic natural cleanser produced from oxygen by energetic excitation which fractures the electron bond of oxygen producing an unstable O3. We are told, of course, that ozone is a pollutant. Another grandiose lie. Ozone gas, when properly introduced into a sick body will sanitize it and thus it eliminates most viruses and bacteria without any harm to healthy cells as it returns to its normal quiescent state, that of being oxygen. I use an ozonated steam sauna to drive all illness from my body. I also use it prophylacticly and I haven’t had a cold or flu for many years now. As a so-called civilized society, we consume more protein than we were designed to handle and the consumption of animal protein places an excessive demand for pancreatic enzymes that are diverted from their intended purpose of tumor reduction, to break down the flesh of creatures never intended for frequent consumption. Our digestive tracts become clogged with undigested proteins which sets up a fertile soil for parasites to flourish and whose excretions seep deep into the body which becomes a nitrogenous cesspool of poisons in which our cells are bathed. In areas where the lymphatic flow becomes attenuated, disease, especially cancer, develops. By far the best way to kill something is to force it to exist in its own excrement. A sure sign that all is not right with you, making you a candidate for cancer along with a multitude of other endogenous (created from within the body) diseases, is that your feces has an unpleasant odor. Doctors tell us not to periodically flush out our colons because they know that in doing so, it would provide for bountiful health and would subsequently put the vast majority of them out of business. They will say that such activity imbalances the intestinal flora yet in the same breath, they fail to mention that their antibiotic drugs imbalance the intestinal flora. The truth is that the digestive tract automatically establishes its proper microbial balance when supplied with the proper foods in their original form from Nature. Tumors develop as a natural defense to prevent the spread of infection, and when their job is complete, they dissolve on their own (via an ample supply of digestive enzymes) without the need for any surgical interference. The mechanism of tumor formation is a natural part of the healing process which is the life-long repetitive action of catabolism and anabolism as the body builds new structures and replaces worn out parts, discarding the refuse through elimination channels that are un-blocked. It is the stoppage or any impediment that reduces the lymphatic flow rate in this process, that is responsible for all disease, not just cancer. Disease arrives first, the germs come later, if at all. The knowledge that cancer is a metabolic disorder, and not a true disease, is quite unwelcome news to the medical/pharmaceutical empire. It is well-known that both the Salk and Sabin Polio vaccines contained the SV40 monkey virus which is now known to induce cancer. The childhood vaccines contain a witch's brew of toxic poisons and heavy metals whose concentrations are deemed unsafe under EPA rules yet are considered perfectly acceptable when injected into the frail body of an innocent child. It is obvious that we now suffer from a plethora of diseases unheard of just 60 years ago. Where do these new diseases come from? How come if our (USA) medical system is thought to be the best in the world, it ranks 37th in all of the industrialized countries? 1 in 100 children develop Autism (perhaps more) and it often occurs within hours to a few days of having been vaccinated. Un-vaccinated children in various religious sects throughout the world remain free of almost all disease and don't develop Autism or expire while sleeping! See: Video - “SV40 Hilleman"
Stop putting your faith in allopathic doctors! They tell you not to clean out your GI tract and not to take vitamins, avoid sunlight, etc.. Many received little to no training in nutrition as evidenced by their; “we get all the vitamins and minerals we need from our food,”. It was publicly established as far back as the 1930s that modern farming techniques depleted the soil of most of its nutrients and foods grown under such conditions and fertilized with only NPK, couldn't sustain the health of the general population. Future epidemics were foreseen. Such evidence was placed before Congress in 1936 and officially entered into the Record. The next time you get a prescription, ask your doctor: “how it is possible to be poisoned back to health?” Always remember – A patient cured is a customer lost! You and you alone are responsible for your own health. Learn how to maintain your own biological machine. Follow Natural laws and you will have less need for the men in white coats. Find a Naturopath to assist in your quest to restore the original design function of your gift on loan from God. Only Nature cures. when Rev. George Malkmus was told he had colon cancer. the same disease that took his mother, despite chemotherapy, radiation treatments and surgery. Rev. Malkmus turned to an evangelist friend, Lester Roloff, who advised him not to go the medical route, but to simply change his diet to raw fruits and vegetables, and to drink lots of fresh carrot juice. He did, and slowly but surely, symptoms began to dissipate and disappear. and found the answers he was looking for in Genesis 1:29.
as did every other physical problem he was experiencing. His body had been restored! having been a pastor for 20 years, he felt compelled to share this life-saving information. (today, more than one million copies of this bestseller are in print). However, many Christians shunned Rev. Malkmus’ message. supported the wisdom of the original diet given to mankind by God in Genesis 1:29. Those who did listen and changed their diet, soon offered powerful testimonies, making their wellness contagious. Rev. Malkmus and Rhonda were married in 1992.
with a 16-person capacity in the small town of Rogersville, TN. they closed the restaurant in 1994 to concentrate on delivering seminars on their farm. The move also afforded time for George to write his second book in 1995, God’s Way to Ultimate Health. and developing the Hallelujah Acres Health Minister program to recruit others to help spread the message. at 900 South Post Road in Shelby, NC, a former Bible college on 17 beautiful acres. Disclaimer: This is not posted as medical advice but as helpful tips. I am not a doctor.